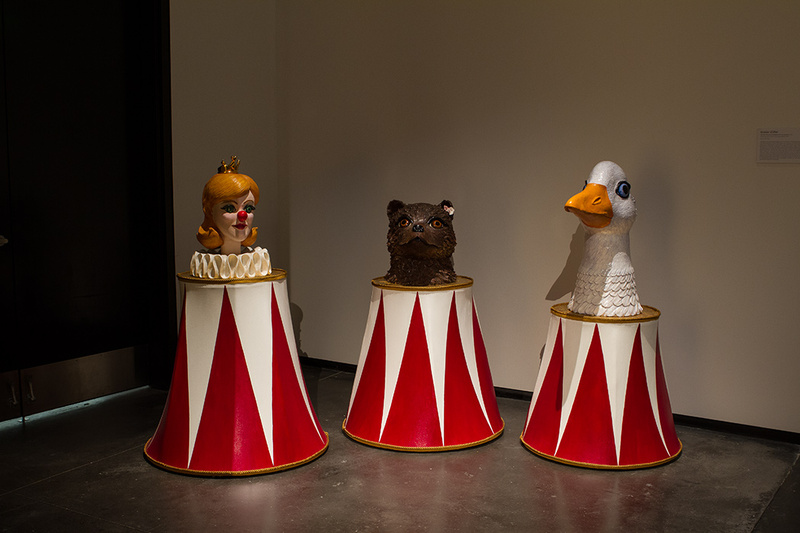 Ceramist and sculptor Kristen Cliffel’s narrative works lay bare the absurd, endearing, mundane, and monumental moments of domestic life. 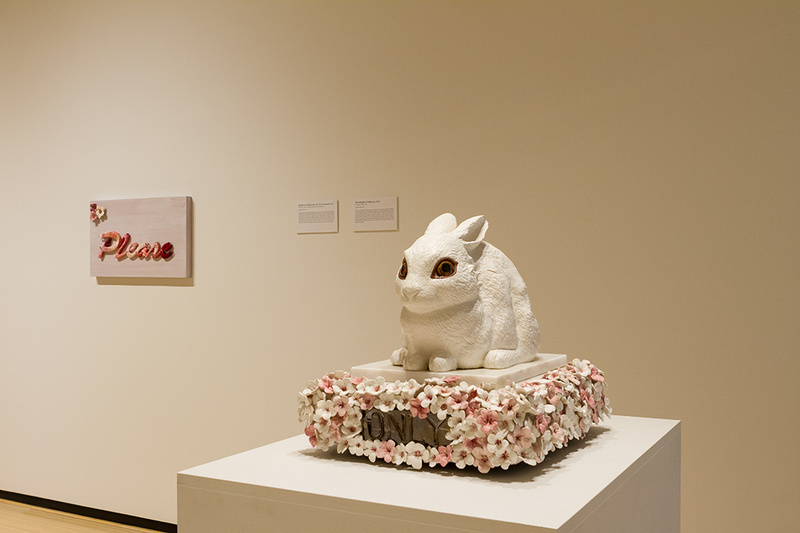 Translating nuanced familial relationships into objects and images, Cliffel’s ceramic sculptures delve into the drama of fairytales, the magic of archetypal myths, household comforts, and the taunting, all-too-quick passage of time. Condensing emotions, extracting and isolating events, Cliffel’s visual metaphors seductively explore the heartbreak and humor implicit to motherhood, marriage, or a child’s coming of age. Yet just below the often saccharine, highly polished surface of her work, Cliffel codes and embeds a narrative about contemporary artistic practice, especially the competing demands of raising a family and nurturing a career at once. 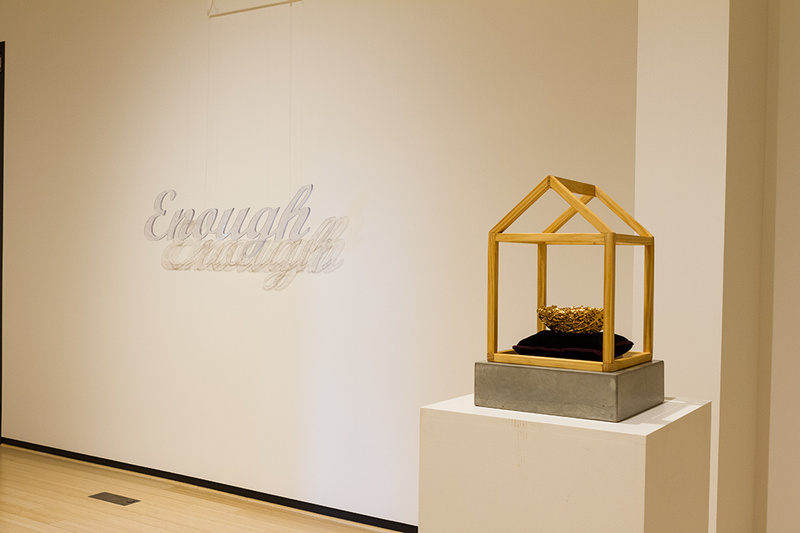 In her own words, Cliffel has described how “I find myself wedged into roles that both trouble and delight me,” a tense push and pull that evokes a certain kind of visual anxiety, even as friction of any kind—emotional or physical—appears to dissolves on the smooth, seductive surface of Cliffel’s objects. 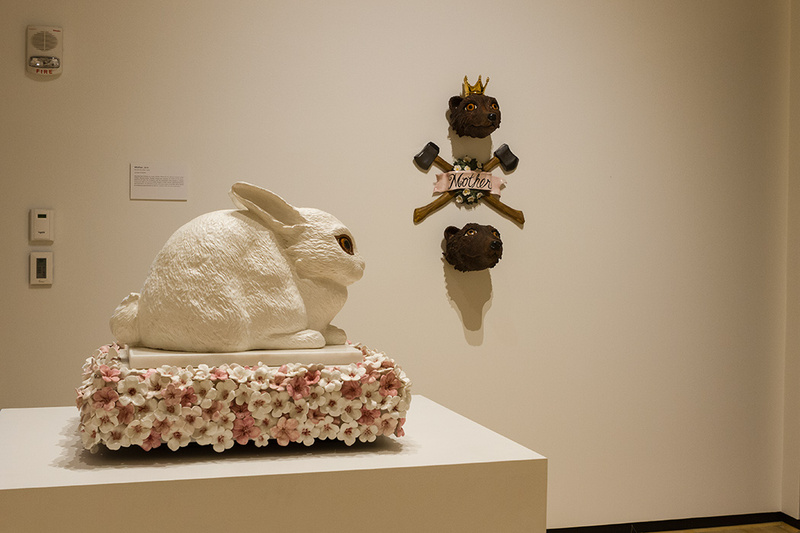 Ranging from a crown bejeweled with miniature vignettes about the cyclical but unpredictable nature of family life, to an empty bird’s nest or hundreds of handmade ceramic flowers, Kristen Cliffel’s ceramic sculptures confront the quirky but sometimes slightly sullen ways we understand growth and change, and the intimacy with which we experience our relationships to those we hold most dear. 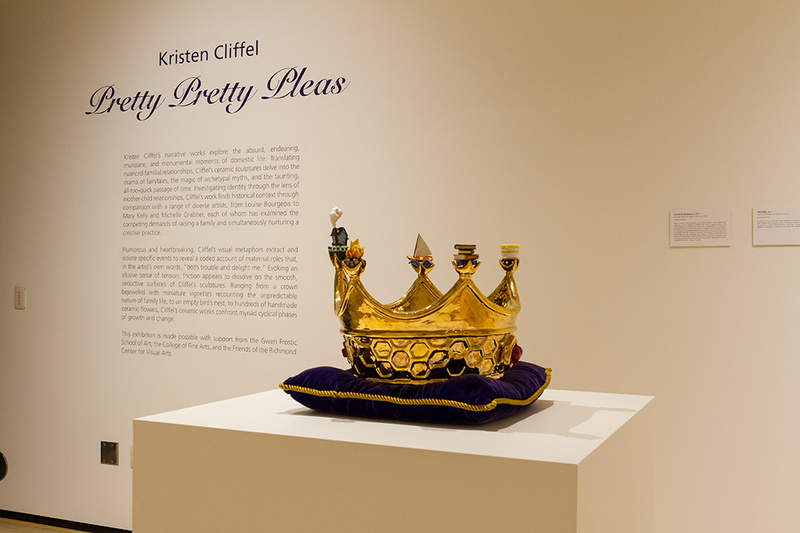 Kristen Cliffel’s work has been featured in solo exhibitions at the Erie Art Museum (PA); the Canton Museum of Art (OH); The Clay Studio (Philadelphia, PA); William Busta Gallery (Cleveland, OH); and The Other Gallery Banff Centre, Alberta, Canada). 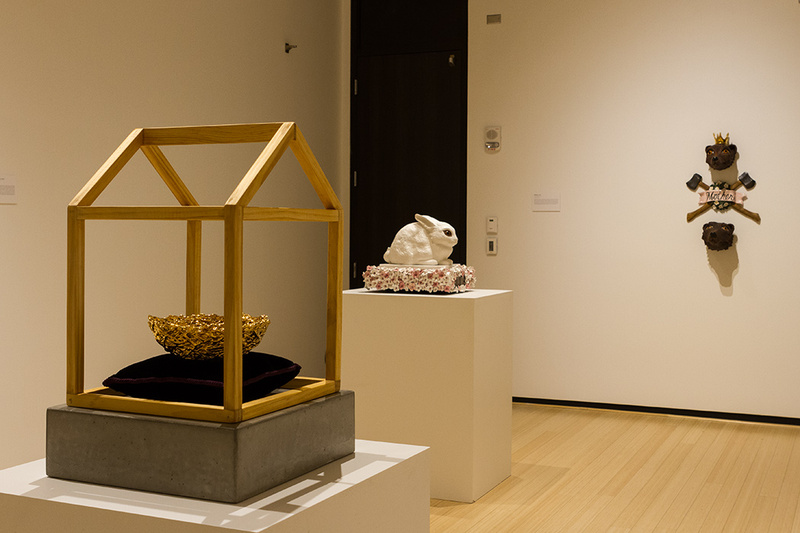 Cliffel’s work has been featured in numerous group exhibitions at such venues as the Akron Art Museum (OH), San Angelo Museum (TX), Mobilia Gallery (Cambridge, MA), Borelli Edwards Gallery (Pittsburgh, PA), Baltimore Clayworks (MD), Santa Fe Clay Gallery (NM), and Anderson Gallery (Buffalo, NY). 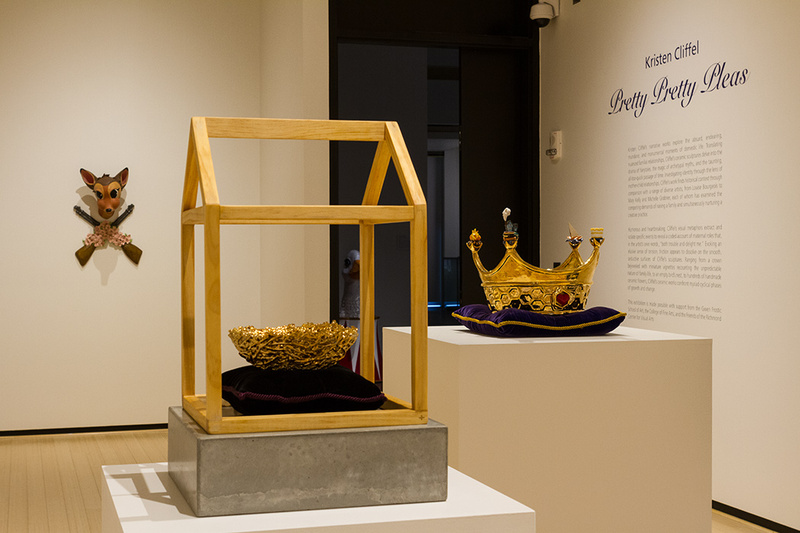 Between 2014 and 2016, Cliffel’s work was featured in State of the Art, Discovering American Art Now, a traveling exhibition that originated at Crystal Bridges Museum of American Art in Bentonville, Arkansas. 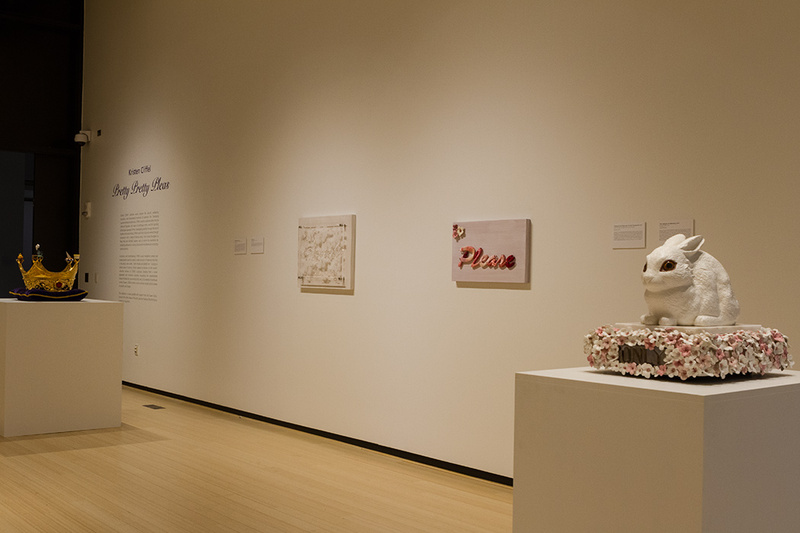 Cliffel’s work is featured in various public and private collections the Akron Museum of Art, (OH), Crystal Bridges Museum (Bentonville, AR), the Weisman Museum (University of Minnesota, Minneapolis, MN); John Michael Kohler Company (Sheboygan, WI); and the Cleveland Clinic Art Collection (OH); and Cleveland’s Metro Hospital Art Collection (OH). 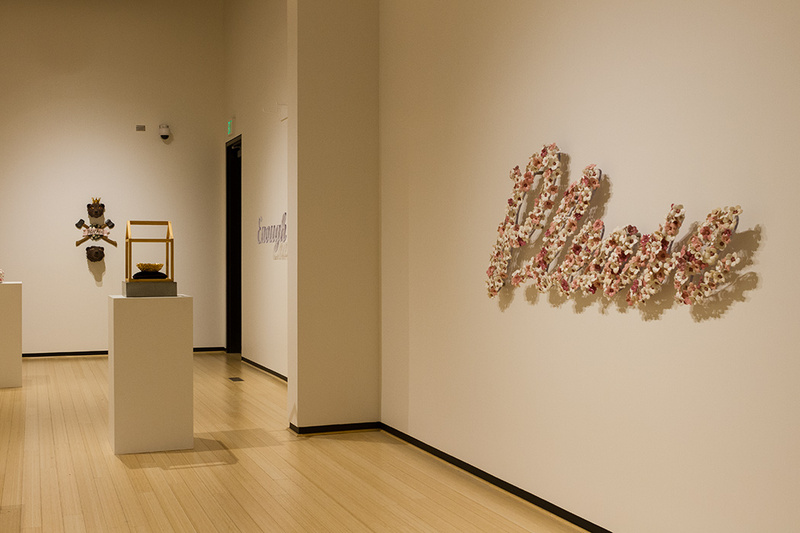 Passionate about teaching, Cliffel has served as a visiting artist at the Cleveland Institute of Art (OH), Kent State University (OH), Savannah College of Art and Design (GA), and Anderson Ranch Arts Center (Snowmass Village, CO), among other places. 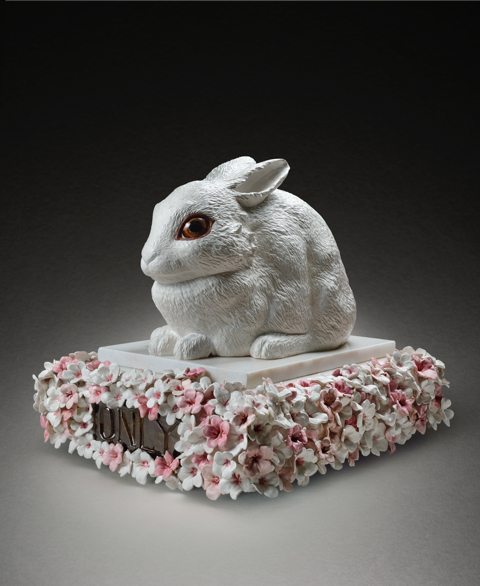 In 2014, Kristen was a finalist for the annual Zanesville Prize for Contemporary Ceramics. 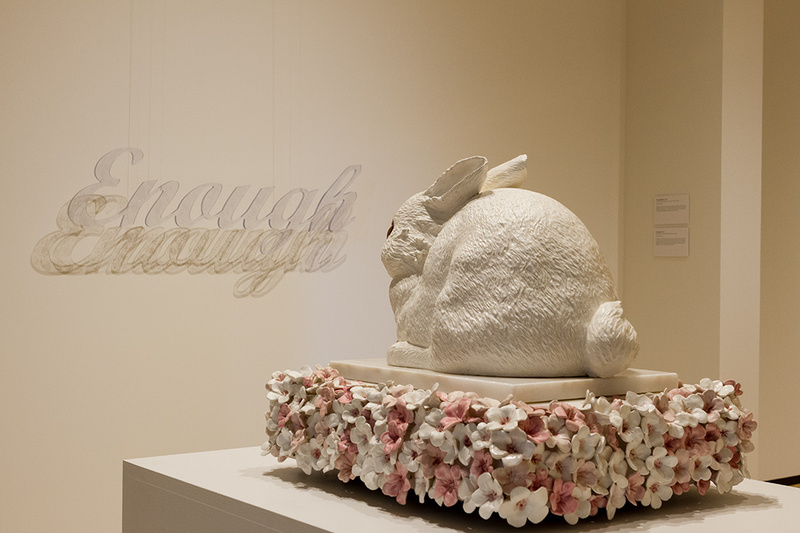 She received the prestigious Cleveland Art Prize in 2016 and has also received a Creative Workforce Fellowship and an Ohio Arts Council Individual Artist Fellowship, in addition to her designation as a Grant Nominee for the Louis Comfort Tiffany Foundation. 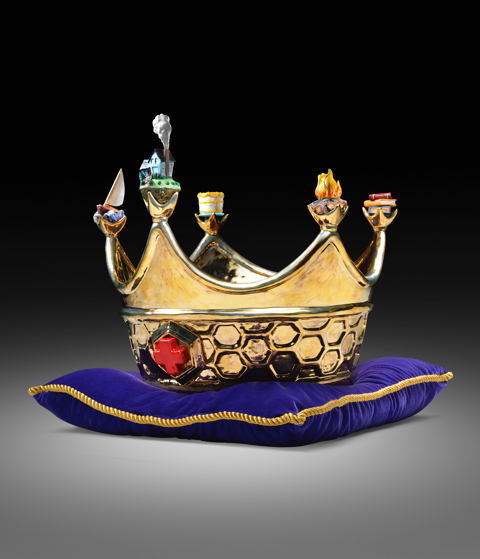 She earned her BFA in Ceramics from Cleveland Institute of Art. 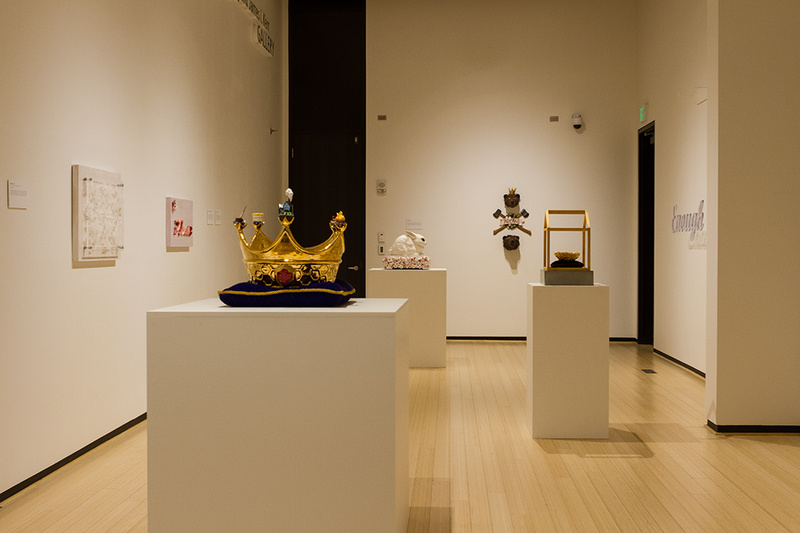 This exhibition is made possible with support from the Gwen Frostic School of Art, the College of Fine Arts, and the Friends of the Richmond Center.